We offer daily snorkeling tours of Silfra where the astonishing clarity of the water reveals a mesmerizing underwater world full of colors you don’t see above the surface. Silfra is a fissure created by the separation of the North American and Eurasian tectonic plates cutting through Iceland. The Silfra fissure fills with glacial water that has been filtered underground for decades through hardened, porous lava rock. The filtering process of the glacial water makes Silfra one of the clearest bodies of water on earth with up to 120 meters of visibility. If you choose the tour option with pick up, you will be picked up in Reykjavík and transferred to Thingvellir National Park. During the one-hour drive, your guide will provide you with background information about the unique geology and cultural history of Iceland and Silfra as well as the surrounding area of the UNESCO world heritage site. ​If you do not need transportation from Reykjavík and would rather drive yourself to the site, please book the Self-Drive. 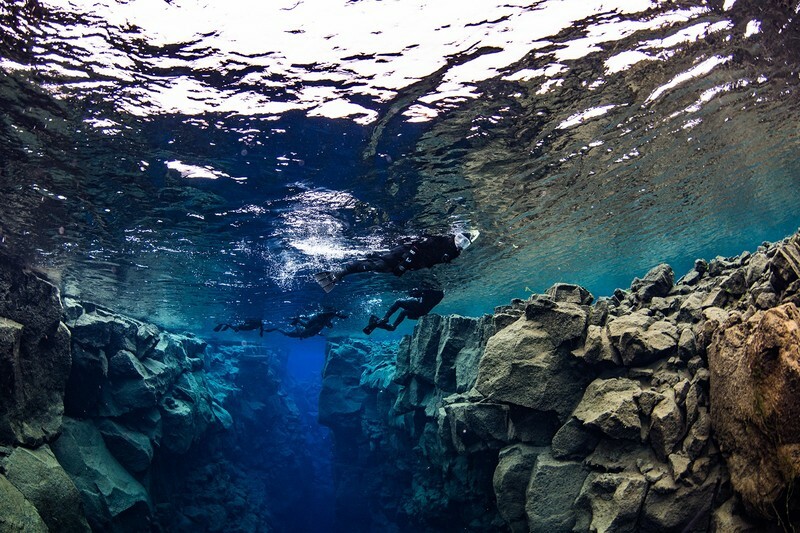 ​Upon arrival at Silfra, your guide will give you your dry suit and snorkeling equipment. Your snorkel guide will explain how to use this equipment and how to ensure that you will be warm and comfortable during your 30 to 40 minute snorkeling tour of Silfra Hall, Silfra Cathedral, and Silfra Lagoon. 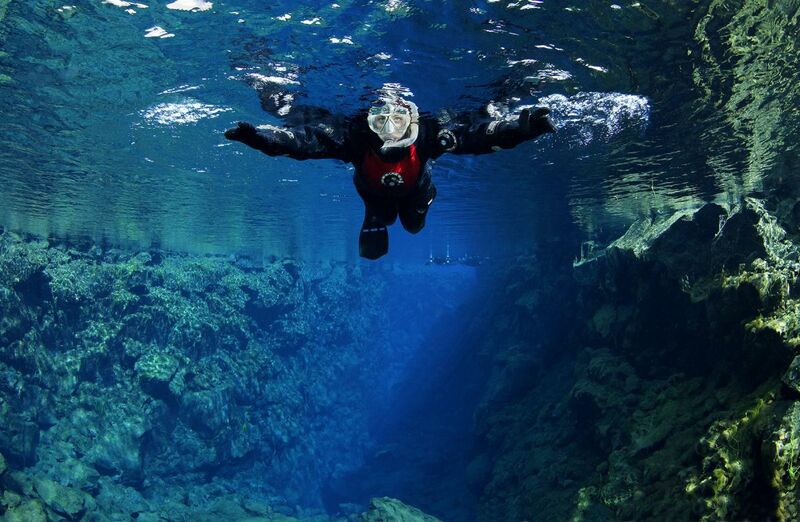 During your snorkel you will explore the four main parts of Silfra. 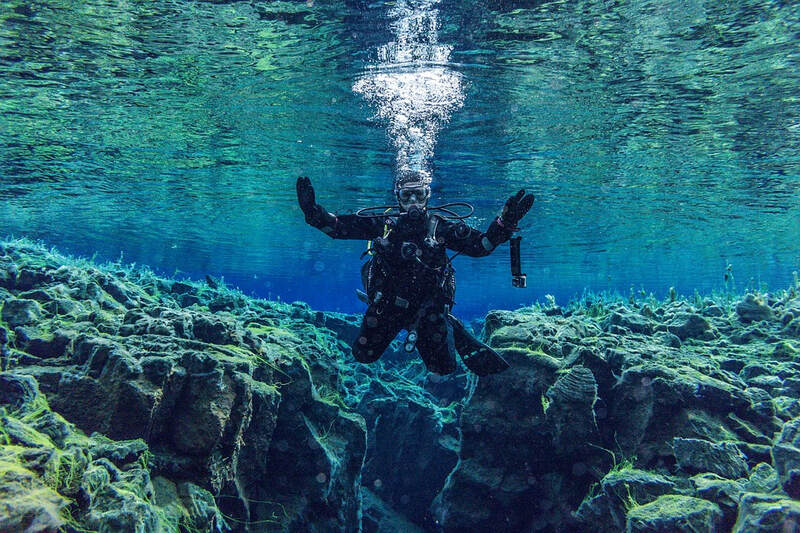 You will float through Big Crack, Silfra’s narrowest section and where the continental plates are so close you can almost touch them. The fissure then widens into Silfra Hall. Here the full spectrum of Silfra’s colours and clarity become all the more apparent. At this point if you look at just the right angle you can see all the way to lake Thingvallavatn, over 150m away. Near to the opening to Thingvellir lake we will enter the Silfra Cathedral; as the depth reaches 23m you feel like you are flying over the boulders and glacial silt. Your snorkel is finished in the endless visibility of Silfra Lagoon.